They want content that’s relevant to their problems, solves the problems NOW, and isn’t just clickbait. But they want it consistently. People get upset if they can’t read things on a regular basis. How do you generate quality content, without resorting to clickbait, and do it fast? There’s no formula for quickly writing clear, informative, and shareable content, but that doesn’t mean there isn’t a framework. If you want to kill your credibility, all you need to do is to create disjointed content that doesn’t flow. Although it doesn’t mean that you don’t know what you’re writing about, your audience will remember how disorganized the text is and not the great points you made. Creating an outline is as simple as organizing all the points you want to make into distinct sections. Once you’ve done that, the article nearly writes itself. It also gives you a more focused path for the content rather than a stream of consciousness that keeps the reader from understanding the real points you’re making. How you structure your outline is up to you. You can use this template, or use it as a guide to develop your own. An SOP turns the stress of content creation into an easily managed system. When you don’t have a method of creation, you’ll find yourself guessing every time. An SOP’s repetitive nature can turn content creation into a standardized process. Don’t worry, you’ll still be able to let your creativity shine through your organization and text on the page. Only, it’ll be done much faster. Start by deciding how you’re going to outline, draft, edit, and spell check. Every phase of your article’s creation should have a planned format. Once you’ve decided on the system, write it down as a bulleted or numbered list. Use it every time. After you finish an article, whether it was easy to create or not, think of how you can make the process better. Nothing says that your SOPs are set in stone; you should be constantly trying to improve your systems. Your natural instinct is to generate content yourself. While that may work for a while, you’ll eventually become too busy with other affairs to be able to do all of your own research. This is where hired researchers can help. Set parameters for their work to limit the amount of information you need to sort through. From there, compile what they’ve provided into an article that meets your approval. You can even request a section to be ghost-written. Ensure that it fits your brand’s voice and style and no one will be able to tell the difference. You can even just create an outline beforehand and send that to the writer to be filled in. Outsourcing can drastically increase the speed at which you create content because half the work is done for you. Providing the “why” can be great for readers if you want to highlight importance. Your audience has come to you for the solution to a problem that they already know is important. You need to tell them how to solve the problem and the clearer you make the solution, the more they’ll like and remember you. Leave them with actionable takeaways that they can put to use immediately. The more specific you can make the points, the better. The odds of them saving your article and referencing it more than once increases exponentially if they find it useful. 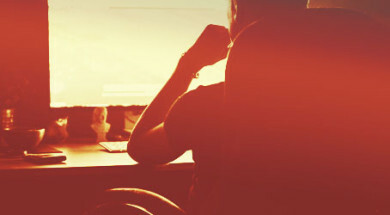 Top 10 articles are fun, but your advice can provide more than just entertainment. Creating actionable takeaways is your method of building brand loyalty, content worth, and legitimately helping people through their problems. No one expects you to know everything, but they appreciate that you know where to find the answers. Internet searches don’t always yield the best results, so readers rely on you to provide worthwhile content and links to others. If you can link quality resources to your content, your audience is even more likely to follow your content. Additionally, linking to others’ content can form a relationship with a different site. It may give them incentive to link back to yours. Now, you have more links pointing to your content as well as a mutually beneficial relationship to help your audience solve their problems. Your market might be oversaturated with great material. You can provide your audience unique content by improving on that great content with your own words. You have the opportunity to present information differently. Try to make it easier to understand or more entertaining, and you’ll grow your audience at the same time. While getting content out quickly is important, whatever you do, don’t plagiarize. Quoting a site or referencing a study is fine, so long as you cite the source. Again, consistency is vital for keeping readers. Publishing articles on a regular basis, that appeal to your niche, gives your audience a reason to return to your site, sign up for your email list, and share your content. If they’re forced to wait weeks before more content is published, they’re more likely to find someone else who can provide the material. Unless you’re a powerhouse authority figure in the field, you need to write content often. These may have worked in the past, but internet users have grown weary of the trick. For the most part, No. 6 isn’t even that shocking. Clickbait isn’t enough to get people reading your content. You need to produce quality information for it to more likely be shared and referenced by other sites. Focus on what your audience needs now and provide the solution, don’t use misleading headlines and images to sucker them into your site. Inbound marketing is a quickly growing tool. Your content serves a greater purpose than solely providing some information to readers. Good content means better customer interaction with more conversions; bad content will have you losing customers faster than anything else. Don’t waste the opportunity for your content to help drive your sales, and even potentially plug some of your services. Writing great content quickly isn’t hard as long as you have a plan. By using outlines, developing standard operating procedures, hiring researchers, creating actionable advice, linking to useful resources, and referencing other material, you’ll find the time it takes to finish articles drastically reduced and your content’s worth greatly increased. These six steps are your ticket to producing some terrific articles that impress and grow your audience … and your bottom line. CMI provides helpful content on a daily basis. Subscribe to our newsletter so you don’t miss the tips, trends, how-to’s, and expert insight. Gareth Bull is an SEO consultant and founder of Bulldog Digital Media. Gareth’s work focusses on content strategy, social media marketing and conversion rate optimisation. Bulldog helps UK businesses grow their online presence through creative content and outreach. You can connect with him on Twitter @garethjakebull.